Wifi is excellent, we all love it. But under the wireless work, there are serious cabling, and data travels through DSL, Ethernet cables and fiber optic cables. The question is, which one performs better? 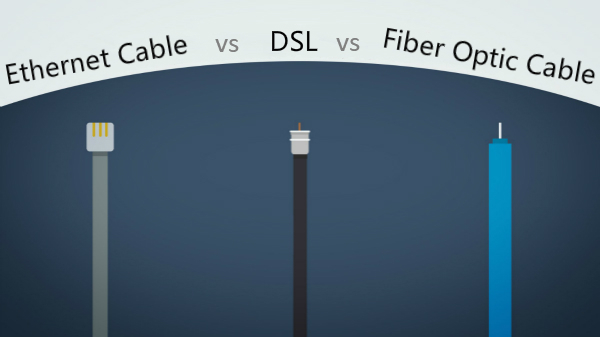 And what’s the difference between DSL, Ethernet cable and fiber optic cable speed? Don’t worry, we are here to help you understand the key differences among the different cables. DSL stands for Digital Subscriber Line. It’s a communication medium used to deliver digital signals via the copper telephone lines. DSL service functions much like dial-up Internet service. However, unlike dial-up service, the “two-wire” technology of DSL makes it possible for users to connect to the broadband internet and make or receive phone calls at the same time. Because DSL utilizes the existing telephone lines which means there is no requirement for extra cabling for DSL service. Thus, it allows users to download files, watch online videos and support cloud backups. Ethernet cable is the most common network cable type in our daily life, which is specifically designed to facilitate the communication between different electronic equipment such as computers, fax machines or scanners. Cat3, Cat5, Cat5e, Cat6, Cat7 are the different Ethernet cable types. 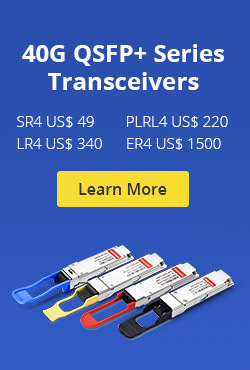 Each new promotion of category supports increasingly faster bandwidth speeds and improves upon the signal-to-noise ratio. The fiber optic cable contains strands of glass fibers inside an insulated casing. Compared with the wired cables, fiber optic cable speed is faster which is designed for long distance and high performance data networking. 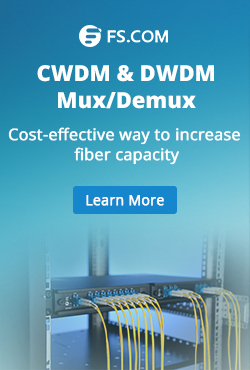 Single mode fiber and multimode fiber are the primary types of fiber optic cable. Both of them can support the world’s Internet, cable television and telephone system. When we buy the cables, the speed is always an important consideration. Now we’ll compare DSL, Ethernet cable and fiber optic cable speed. Download speed of DSL is generally in the 1-35Mbps range, while the upload speed ranges from 1Mbps to 10Mbps. When the DSL packages speed is around 1 megabit per second, it’s suitable for basic web browsing and sending or receiving emails. If the cable speed is up to 6Mbps or 7Mbps, you can enjoy online music and standard video streaming but may be a little slow for HD video. Ethernet cable download speed usually starts from 10Mbps to 500Mbps, and the upload speed is 5-50Mbps. Note that these ranges are the criteria you can achieve for home use. And for the specific areas, internet providers offer much higher speed which can be 1000Mbps. With a faster data speed, you can enjoy HD audio streaming and VoIP services. Fiber optic cable speed is the fastest. Download speed of a fiber patch cord could be anywhere from 250Mbps to 1000Mbps. And fiber providers commonly provide “symmetrical” service, which means the upload speed is as high as the download speed. Though fiber optic cable price is usually a bit higher than DSL or Ethernet cable, it’s always worth buying it. You are free to enjoy heavy web browsing, file sharing and online backup, superior download and upload. And it’s a great option for hosting servers and complex cloud-based services. As described above, fiber optic cable speed definitely wins. If you want a connection that can move at lightning speeds, fiber is the best choice. If you care more about the budget, both DSL and Ethernet cable can offer plans that allow you to get a decent network speed at a reasonable price. DSL is the cheapest for lower speed plans, while Ethernet cable is the cheapest for higher speeds. So choose the best Internet cable service based on your needs. This entry was posted in Fiber Cabling and tagged DSL, Ethernet cable, fiber optic cable, fiber optic cable speed on September 28, 2018 by Sinead.Zhang.